Lemax Draft Bros. Home Brewing Supplies Lighted Building depicts a delightful street corner brewing store open for business. 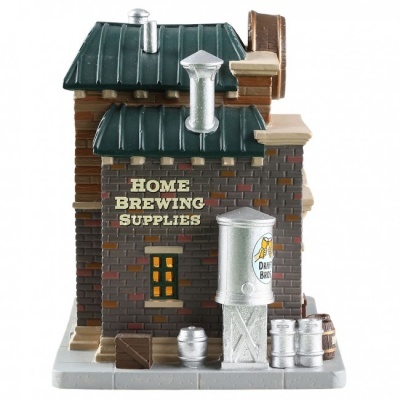 Illumintaed Lemax miniature building on a street corner base with internally viewable windows. 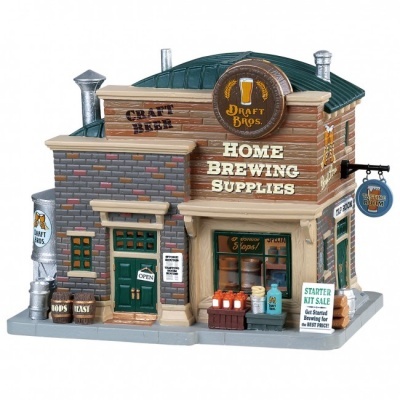 Provides a wonderful LED lit table piece suitable for placement within a Harvest Crossing themed Lemax village display. 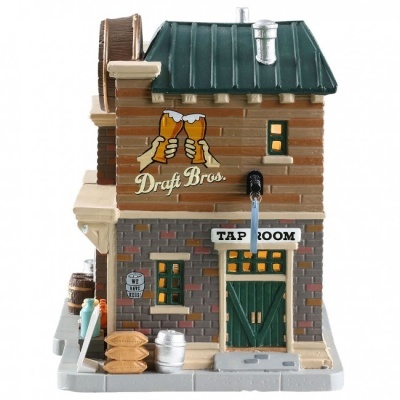 Draft Bros. Home Brewing Supplies manufactured in porcelain, joined the popular Lemax Harvest Crossing Village miniatures collection in 2018.